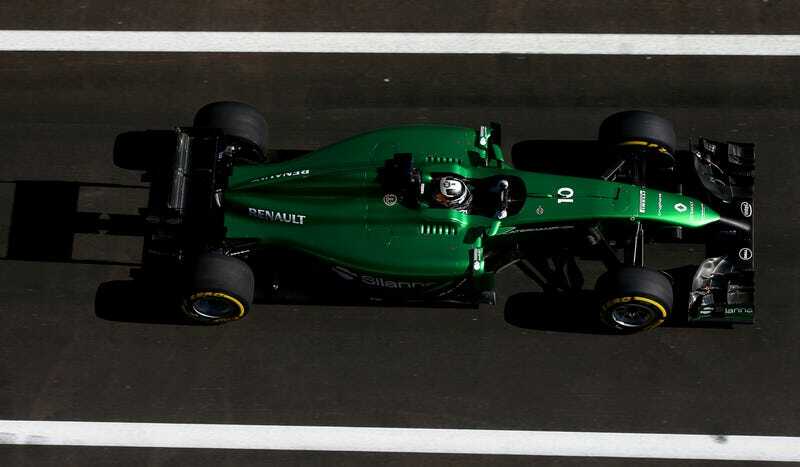 Earlier this summer, the Caterham F1 Team was sold by reputable businessman Tony Fernandes to a group of investors. The investors are now taking issue with how the sale has gone down, as Fernandes is yet to transfer ownership. Fernandes's response? "If you buy something, you should pay for it." The whole saga of the sale of the Caterham F1 team has seen the team devolve from a team that you were pretty sure would be on the last two rows of the grid to a team that might have cars with no engines or wheels and would claim everything is ok no matter what. Caterham has become the Baghdad Bob of motorsports. Since the date of the Agreement, the Seller has refused to comply with its legal obligations to transfer their shares to the Buyer. The Buyer has been left in the invidious position of funding the team without having legal title to the team it had bought. This is in total contradiction to the Seller's press release of 3 October 2014 which stated that Mr Fernandes and his Caterham Group had no longer any connection with the Caterham F1 Team. The administrators of Caterham Sports Limited have been appointed on behalf of Export-Import Bank of Malaysia Berhad (Exim), a creditor of Mr Fernandes and the Caterham Group. The Buyer has no connection with Exim. Caterham Sports Ltd was a supplier company to the Caterham F1 Team. Very regrettably, the administrators' appointment has had devastating effects on the F1 Team's activities. Since their appointment, the administrators have released various press statements which have been severely detrimental to the management of the Caterham F1 team. According to Tony, he is yet to be paid for the team. So why should he transfer the shares to the new owners if they haven't even paid him? Now, it's unclear whether Caterham will make the grid for the upcoming USGP or if the team will slide off into a maze of legal battles amongst the former and current owners. Hopefully they make it, because if they don't, Kamui Kobayashi won't get to race, and that means the world will be a worse place.